A Labour front bencher has suggested the Irish government and Sinn Fein have “played up” concerns that Brexit could harm the Good Friday Agreement. 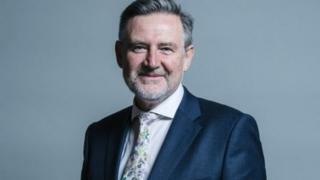 Shadow international trade secretary Barry Gardiner said concerns about the Irish border issue was in the Irish government’s “economic interest”. Mr Gardiner’s comments came to light as Northern Ireland marks the 20 years of the Good Friday Agreement. Labour’s Owen Smith said the remarks were “reckless and plain wrong”. The shadow international trade secretary made the comments at a think-tank Q&A session in Brussels last month. In a speech at the think-tank event, posted on his website, Mr Gardiner set out Labour’s official position on Brexit and a customs union. He suggested a customs union with the EU was at least a partial solution to the problem of the Irish border. But in an audio recording obtained by the BBC, Mr Gardiner appears to play down the risks of failing to resolve the border issue post-Brexit, and suggests both the Irish government and Sinn Fein may be exaggerating them. “We must also recognise there are real economic reasons why people have played up the issue of the Irish border and the need to have the shibboleth of the Good Friday Agreement,” he said. Shibboleth means a long-standing custom, or principle, which is regarded as outmoded or no longer important. He added the UK leaving the EU did “not mean putting in a normal border relationship when one party is no longer in the EU will bring back paramilitary activity”. And there were “very good political reasons” for playing up the issue too, he said. “Sinn Fein – who are trusted colleagues – want to see the unification of Ireland. That is a political objective of Sinn Fein. He said his remarks were “deeply unfashionable”. Reports of his remarks on Twitter over the weekend were dismissed by Mr Gardiner as “nonsense on stilts”. Writing in the Guardian in March, shadow Brexit secretary Sir Keir Starmer said Labour leader Jeremy Corbyn had made it clear that his party would seek to negotiate a new comprehensive UK-EU customs union to help avoid a hard Irish border. Ex-shadow Northern Ireland secretary Mr Smith told the BBC: “I worked in Northern Ireland with Barry and it is remarkable that he can display so little understanding of the vital and continuing importance of the Good Friday Agreement, or of the essential need to avoid any hardening of the border in Ireland. The 20 March event was a meeting of trade unionists and selected MEPs hosted by the Rosa Luxemburg Stifung – the think tank of Die Linke, the party to the left of Germany’s SDP. A response has been sought from Mr Gardiner, and Labour did not want to comment. A number of events will take place in Northern Ireland later to mark the anniversary of the signing of the Good Friday Agreement, including a conference at Queen’s University in Belfast. 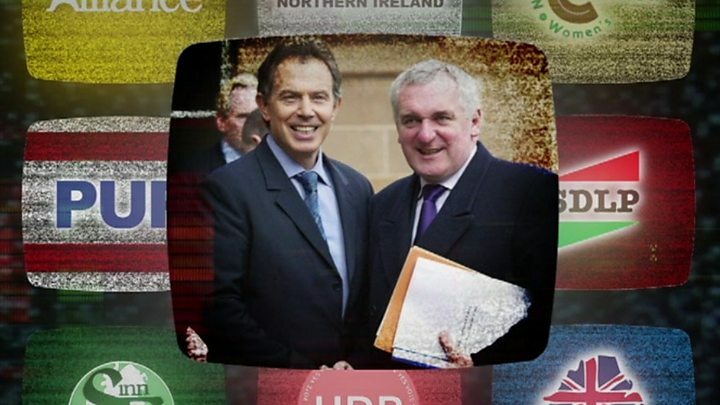 Former US Senator George Mitchell, who chaired the negotiations, will join President Clinton, along with Jonathan Powell – an adviser to then prime minister Tony Blair at the time of the peace agreement – and former taoiseach (Irish prime minister) Bertie Ahern. Lord Trimble and Seamus Mallon – the former first and deputy first leaders of the Northern Ireland Assembly – will also attend. Later, Mr Clinton and Mr Mitchell will both receive the freedom of Belfast in a special ceremony at the Ulster Hall.